Just thought I’d pass along information about the Gordon Institute for Music Learning (GIML) training that is to occur this summer (July-August, 2018) in the Boston area at Brookline Music School. This is the certification I received in the summer of 2016 to learn more about applying Edwin Gordon’s Music Learning Theory (MLT) to piano teaching. It was quite a commitment of time and money but I feel it is the most important investment I have made into myself as a piano teacher, aside from earning my music degrees. Here’s where you can read about my experience taking GIML’s Piano Certification Course. Read more about GIML’s Professional Development Level Course offerings here. Have you heard of “audiation” before, but perhaps weren’t exactly sure what it meant? Have you wondered: why do we need this new word? Why should audiation matter to us as musicians and music educators? Audiation isn’t an idea that is going away anytime soon. We are going to continue hearing more about audiation within music education circles. As the term “audiation” is becoming more widely known and increasingly used, it would benefit us to ensure that we have a clear and accurate understanding of the term. Why did Edwin Gordon coin the term “audiation”? The term “audiation” was coined around 1976 by music professor, researcher, theorist, and author Dr. Edwin Gordon (1927-2015). Audiation is the central focus of a collection of theories about how music is learned, known as Music Learning Theory (MLT). Audiation refers to a mental process that is both a natural and integral part of music making — and has been since the beginning of time — but has gone unnamed (at least, in the English language) until Gordon came along. I recently came across this video by musician Victor Wooten on YouTube and thought to myself: the ideas expressed here fit very well with MLT (Music Learning Theory)! Below are my favorite points from this video, along with some of my own commentary regarding the agreement with MLT. 1. Music is in many ways like a language. Think about the way you learned to speak as a child. MLT practitioners find it very useful to compare the process of language acquisition to music acquisition. It’s not a perfect comparison (as with any analogy), but I have personally found it to be an incredibly useful analogy to keep in mind as a piano teacher. 2. Imagine children being allowed to speak only with those at their same speaking level. It would stunt their progress compared to being allowed to interact with more experienced speakers such as their parents. It’s the same with music: it’s helpful for students to jam along with professionals. This is a good reminder to play often alongside our students, whether it’s informal duet-playing during lessons or preparation for a performance. And to have our students play together. And consider other ways we can provide opportunities for students to experience playing alongside professional musicians. We’ve accomplished so much in the realm piano pedagogy over the decades. So many fine teachers, fine books, and fine pedagogical piano literature. The music education community can tout similar advancements, and yet we piano teachers tend to know so little of them. We know little of the theories and recent research regarding music learning, and of the approaches music educators use in the school systems. Does anyone else find it odd? There seems to be a certain degree of separation between the worlds of piano pedagogy and music education. We don’t interact much. We took separate courses while in college. We have separate professional organizations. Do we piano pedagogues consider ourselves under the same umbrella as music educators? Since taking the Piano Certification Course through the Gordon Institute for Music Learning (GIML) last August, I have been slowly but surely working towards integrating Music Learning Theory (MLT) principles into my teaching approach. Much of this integration is subtle at this point and yet, it is having a definite impact on my students. I’ve also had the opportunity to experiment more directly with an MLT-based teaching approach in a couple of new group music classes I’ve been offering over the past few months. The first opportunity arose when one of my piano parents asked if I might consider doing some kind of group music class with her two piano students as well as three of her other children who take lessons in guitar, flute, and violin. She was interested in her kids receiving additional help with rhythm, theory, and more, to support their private lessons. I told her more about the GIML training I received and how I felt it would be ideal for her kids and that I would be thrilled to have the opportunity to experiment more with this approach. So, now I’m teaching a weekly 30-minute group music class (not geared towards piano playing) with 5 siblings between the ages of 7 and 12. Afterwards, I give the two piano students their private lessons. The second opportunity arose when a local violin teacher reached out to me asking about lessons for her 4-year-old son. Ultimately, we settled on having a weekly 30-minute group class with her son as well as her two other young children. The five of us are exploring music together using the Music Play early childhood music curriculum as the basis. So far with both classes, I’ve been loosely following the lesson plan outline that Marilyn Lowe suggests in her Keyboard Games (KG) books (see image below). I’m pulling songs and rhythm chants from her KG books, Music Play, and the ECMC Songs and Chants Without Words, Book One. 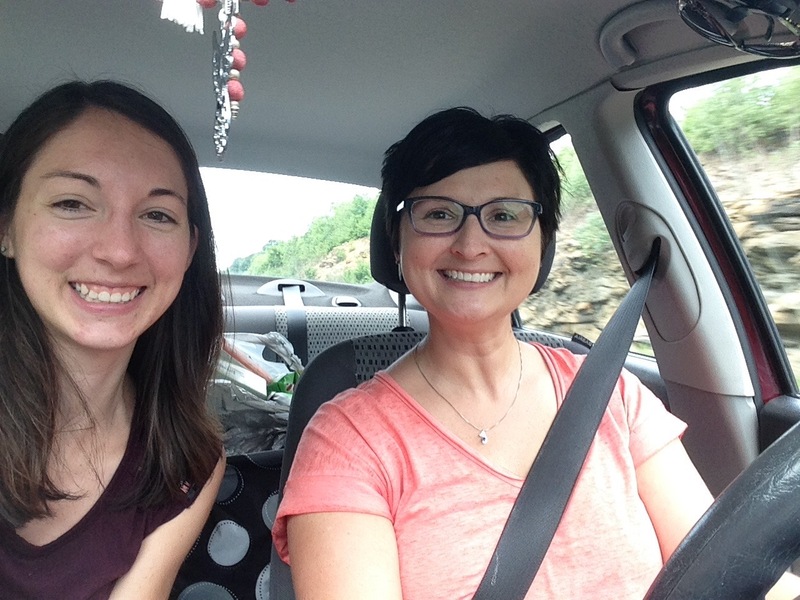 Back from our Boston trip for GIML training, Amy and I thought it would be fun and constructive to have a conversation to debrief, and at the same time create a video to share, about Music Learning Theory (MLT). 3:00 Who was Edwin Gordon. 9:45 Who is Marilyn Lowe. 13:25 What is audiation and how is it developed. 22:00 How we each plan to start incorporating elements of MLT into our lessons. 25:45 What resources are available for teachers who want to learn more about MLT. Learning Sequences in Music, by Edwin E. Gordon. Quick and Easy Introductions, by Edwin E. Gordon. The previous two books are not easy reading, so I would recommend starting with this pamphlet if you want to read something written by Gordon himself. Update: Read What Is Audiation, Exactly? On Saturday, I returned from a fruitful and enjoyable two-week stay in Brookline, Massachusetts, receiving Piano Certification training through the Gordon Institute for Music Learning. I am still processing everything I learned, but am excited to begin sharing about the experience with you all. As I mentioned in the last post, we were in class from 9:00am-4:30pm each day. It was like being back in school! In upcoming weeks and months, I look forward to incorporating what I learned into my teaching. Stay tuned for more on this. In the meantime, be sure to check out the blog post that Amy just posted with her own summary of our experience in Boston. Update: Read more about Music Learning Theory (MLT) here. Today, an adventure begins: I am heading to Boston for two weeks to receive training in the Piano Certification Course sponsored by the Gordon Institute of Music Learning (GIML). The training is being given by Marilyn Lowe, author of the Music Moves For Piano method, and Jennifer Fisher. This trip is possible thanks to an MTNA Teacher Enrichment Grant. If you’ve been following this blog for awhile, you might know that I am a huge fan of Edwin Gordon’s work. Having the opportunity to experience this training means a great deal to me. My adventure buddy is Amy Chaplin (of PianoPantry.com). We are driving well over 10 hours today from our respective homes in Indiana and Ohio. I definitely plan to blog about our experience, but I am unsure whether I will keep up with blogging during the trip or if I’ll catch up after I return. However, I will definitely be posting some tidbits throughout the two weeks on Instagram or Facebook. Interesting in learning more about Edwin Gordon’s Music Learning Theory (MLT)? Check out this blog post or Tim Topham’s podcast episode with Marilyn Lowe.